Work for The Databank For Nonprofit Organizations? 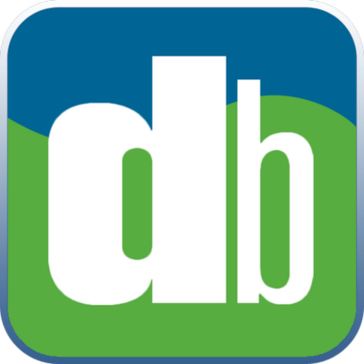 Learning about The Databank For Nonprofit Organizations? "A convenient platform for running fundraisers on the internet"
The Databank has all the tools we need to create forms, automated emails and basic digital marketing materials for non-profit fundraising campaigns. Among other things, we can track people that have signed up for events and know which plan they selected. We can add custom codes to specific plans to help with accounting organization. The support team at Databank is very hands-on and can help walk us through campaign creation and management tasks. The amount of customization options can be a bit confusing to deal with at first. This isn't really the type of software where you can go in and know what to do intuitively. There aren't any straightforward instructions for starting campaigns and adding different options to them. We had to have Databank start our initial campaigns and learn how to create and manage them on our own overtime. Instead of having Databank create a custom form for you based on your website's design, you can save money by just using a blank form embedded into the spot on your website where you want the form to appear. That will make the form more versatile and less prone to formatting errors. This platform allows us to have all our digital fundraising sign up forms and payment processing tools all in one place. Once we're up and running, the system basically does all the work. We don't have to spend time signing people up in person or over the phone or have to email them manually with confirmation notices. "Has Many Custom Options for Donation Campaigns"
The Databank has many features that allow users to customize donation campaigns. We can use the platform for to charitable event registrations and general online donations. We can embed multi-page registration forms in our website by just pasting a small bit of script where we want the form to appear. We can add many different donation types and tiers to give donors more options to contribute. They have an engaging donation progress bar that can be used to monitor donation activity. The general user interface and form designs look quite old and don't seem optimized for many if today's web browsers. Setting up campaigns can be a bit confusing as their are many different fields and sub pages that we have to configure, which can be hard to keep track of. If you're currently using a standard shopping cart or straightforward payment system for donations, you should consider using the Databank for more detailed sign up needs and to develop an online transaction environment geared toward non-profit transactions. I feel using the Databank helps to make donation efforts more reputable. The Databank has been great for processing payments for donations and giving our patrons a convenient way to sign up for events online. The automatic receipts and notifications from the Databank helps us for accountability and maintaining contact with a large amount of patrons. The customer support team has helped us to configure many settings with our account and to provide us with more integration options that weren't obvious at the outset. "Great customer service, great price, great company"
The DataBank has amazing customer service. Through the initial testing phase, through training, and through troubleshooting, The DataBank has been a great solution for us. We previously used two blackbaud systems - one for donors and another for activists & communication - that were expensive and did not communicate with each other. The DataBank has solved that for us and they support like-minded, small nonprofits. I feel like I know their team well through their quick troubleshooting and frequent small group trainings - Marcos is the best. While there are kinks to learning any new system, and some things feel like the long way to do things, they are an attentive company that actually takes feedback into consideration or will walk you through to meet your goals. Sometimes it takes longer than I would like to set up queries based on how Convio/Blackbaud worked - but it's a more methodical process now. The DataBank partnership with SoftEdge for Advocacy is great, but still lacking a lot of tools/connections for local and state-based legislation. It still takes me a bit to get the process correct in selecting my audience(s) for Powermail, but all and all a solid product and a company I would feel good recommending to my colleagues. Definitely try it out - especially if you are using multiple systems and you are an advocacy organization. I cannot compare The Databank to Salsa, The Action Network, or NationBuilder, but I would definitely recommend over more expensive Blackbaud products (in our experience). We had two separate systems previously to manage donors vs managing activists & email communication - The Data Bank has solved this for us. Even though our previous systems were from the same company, they didn't work together and any solutions would cost us even more money. The customer service and personal touch wasn't there. We are saving money and time with The DataBank. "Does the job, but very cumbersome"
It gets the job done - it's got a lot of features for sure! Honestly, there's not much that I like about The Data Bank. It was awful to use. It's very difficult to use, both for myself and my colleagues. It doesn't sync well with itself or with other programs. I don't know anyone who actually feels confident using it. I'd steer clear of it if there are any easier tools to use out there. There's gotta be something more user-friendly out there! We use it to keep track of all of our donors, members, events, donations, event registrations, etc. It helps us do all of that relatively well. Information is easily accessible because of quick search function. * We monitor all The Databank For Nonprofit Organizations reviews to prevent fraudulent reviews and keep review quality high. We do not post reviews by company employees or direct competitors. Validated reviews require the user to submit a screenshot of the product containing their user ID, in order to verify a user is an actual user of the product. Hi there! Are you looking to implement a solution like The Databank For Nonprofit Organizations?